* May cause undesired results if not pre-formatted. Map to Formidable Phone Number field or Date field for better results. 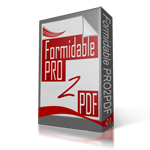 This live demo maps Formidable Form fields to PDF form fields and provides examples of dynamic shortcode settings. Test any or all fields. Do you like this plugin so far? Automatic PDF Download after Submit? Send PDF file to email address listed above?